The Cleveland Animal Protective League lovingly cares for thousands of homeless, injured and abused animals each year. For some, their cage at the APL, complete with a warm bed, toys, plenty of food and water, and lots of TLC, is the only “home” they have ever known. For others, it’s a temporary home until they find the love of another family. For all of them, it’s the reason they’re getting a second chance. Our annual cage sponsors bring hope and comfort to our animals while they wait for their future mom or dad to adopt them and take them home—permanently. We ask that you help us to provide all of the care and love they need while they are with us by becoming a cage sponsor. 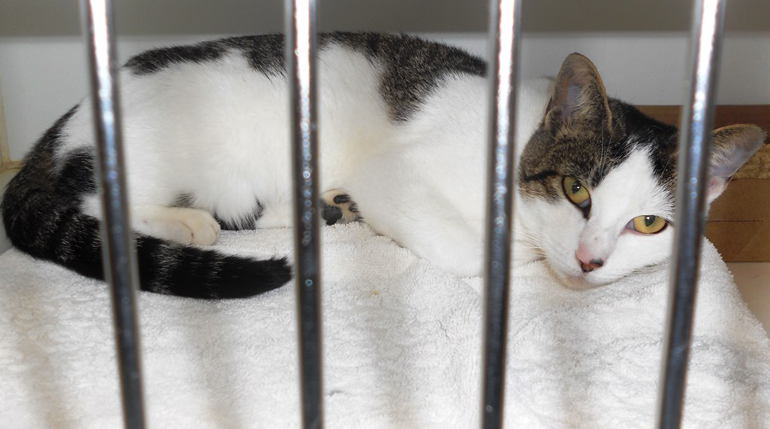 Your cage sponsorship will be recognized with a plaque on a cage in our cat, dog or small mammal adoption center areas. You may choose to make your cage sponsorship in honor or in memory of a special pet or person or you may choose to advertise your business. Cage sponsorships are renewable every year. Dog Cage Sponsorships are $1,500 per year, Cat Cage Sponsorships are $1,200 per year, and Small Mammal Sponsorships are $1,000. Pledge Payment options are available. If interested, please call Judy Hunter, Director of Development, at 216-344-1353.